Wandering Liguria is a new site dedicated to the Italian Riviera: Cinque Terre, Portofino, Genoa and more — we’ll describe hundreds of cities, towns and villages along the Italian Riviera, from the border of Tuscany to France. Along the way you’ll discover the food, restaurants, wine and wineries, monuments, churches, hikes, secret seaboard corners, mountain refuges, best coffee, best focaccia, best seafood, best everything this magical region of Italy has to offer. The site — powered by my words, leavened and illuminated by gorgeous photos by Alison Harris — is actually the brainchild of web and travel guru James Martin. I’ll let James “speak” for himself: read his bio on the site. James has created the acclaimed series of “Wandering” travel websites. He contributes words, photos and videos to them, and will also contribute to Wandering Liguria. Why “Liguria”? Everyone knows Tuscany (Toscana) and most people have at least heard of Umbria and Lazio (Latium). But how many of you know that Liguria is the dramatic coastal region of Italy that sweeps from Tuscany to France? 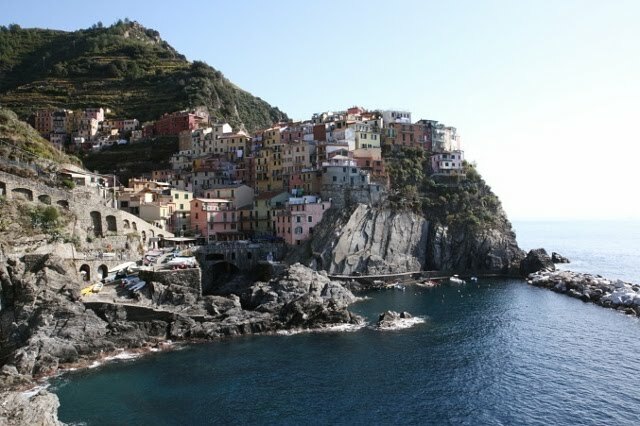 It’s home to the Cinque Terre, Portofino, Genoa, Savona, San Remo and about 1,001 villages and hamlets perched on steep slopes overlooking the Mediterranean. It’s the birthplace of, among many other foods, focaccia, pesto (from Genoa), ravioli (ditto), pandolce, cioppino (seafood soup) and exquisite farinata (chickpea tart). Alison and I have written about it in several books and scores of articles, photo essays and exhibitions, and blog posts. 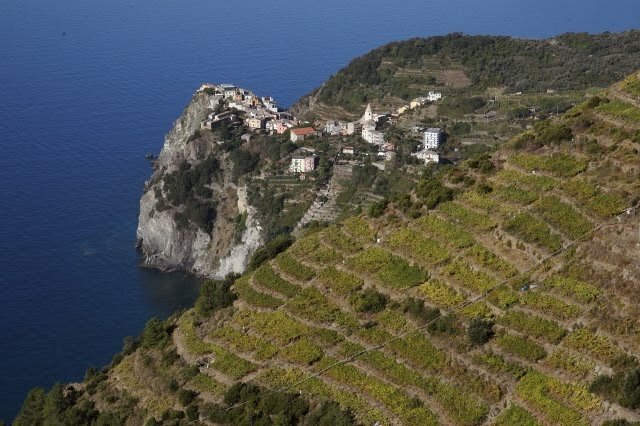 The Classic Coast Walk from Riomaggiore north to Monterosso, featuring all five Cinque Terre villages. Hiking from the Monastery of Montenero to Vernazza and Corniglia. Hiking from Riomaggiore to the Monastery of Montenero. Arriving in Vernazza to start your Cinque Terre experience. James Martin visits the handsome town of Sarzana, bordering Tuscany, and makes a video of the annual medieval festival there.